Wear sunglasses. These can cut down on the glare – not completely, but more than not wearing anything. Have these within arm’s reach so you can pull them out at a moment’s notice. Use your visors. Pull them down just enough to block the sun, but no lower. They decrease your visibility of the road, so it’s important to strike that balance. Clean your car. This not only includes your windshield (since the dirtier your windshield is, the harder it is to see) but also your dash. Anything on your dashboard will usually reflect off the windshield, making it tricky to see what’s outside of the car. 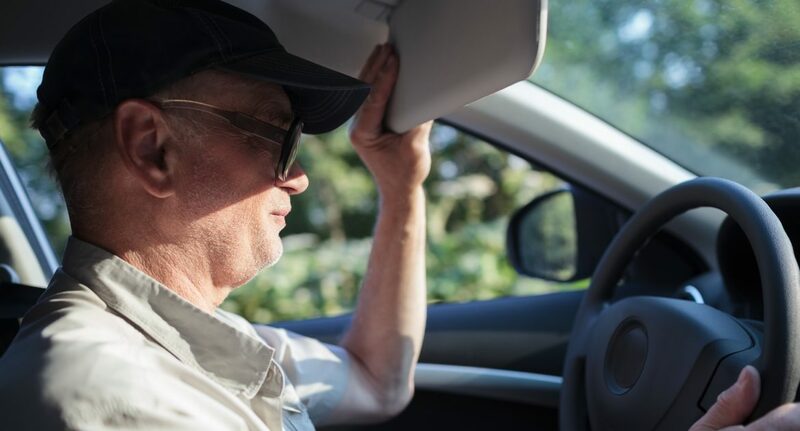 There’s no magic trick to being able to see when the sun is in this position, but by taking extra precautions we can be as safe as possible. Accidents can easily happen at this time of day, so give cars around you more room than your normally would. This also affects your back-up camera as well, so be aware of your surroundings! If you have been hit by someone on the road that you believe wasn’t driving as safely as they should have been, give Tad Morlan a call today.